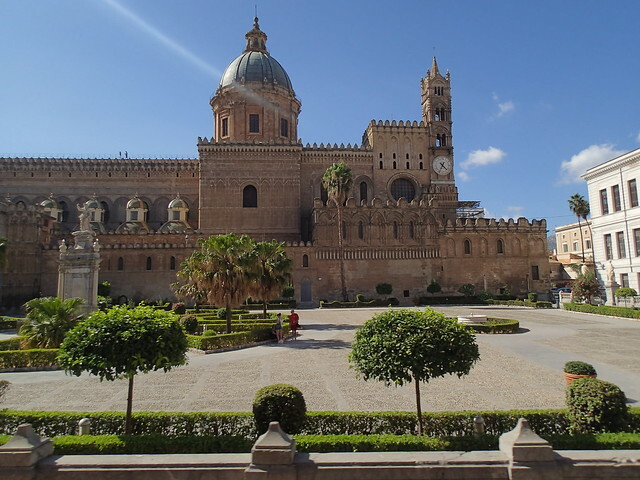 Palermo's numerous historic churches unite Islamic, Byzantine, and European architectural styles, and are so remarkable that many have been named UNESCO World Heritage Sites. Among the most striking are the Cathedral, begun in the 12th century and expanded and renovated over the subsequent 600 years with Norman, Arabic, Gothic, Baroque, and Neoclassical elements. 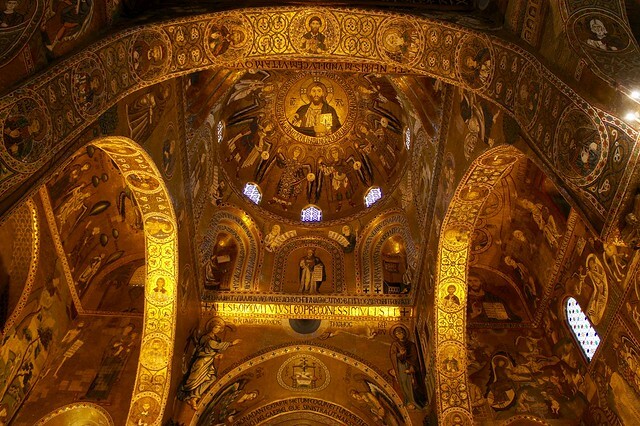 The Cappella Palatina, royal chapel of the Norman Kingdom of Sicily in Palermo's Palazzo dei Normanni, is home to glittering mosaics that also combine Norman, Arabic, and Byzantine styles as witness to the city's cross-cultural heritage; La Martorana, or Santa Maria dell'Ammiraglio, also boasts a spectacularly decorated interior featuring spectacular 12th-century mosaics created by Byzantine craftsmen. 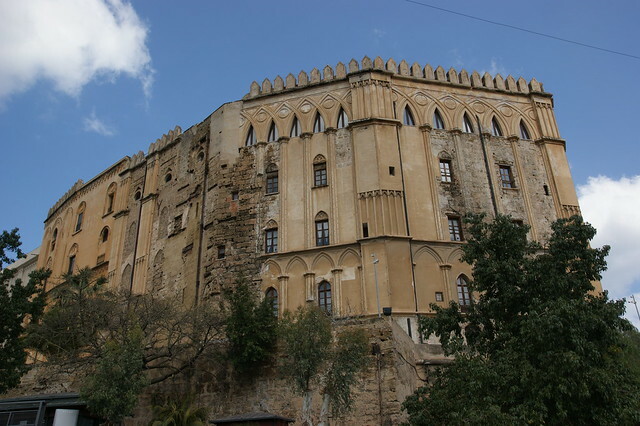 In addition to its churches spanning from the Byzantine to the Baroque, Palermo is home to the oldest royal palace in Europe, the somber Norman Palace that was once home to the Kings of Sicily during the Norman occupation and today is seat to a number of governmental offices and the Palatine Chapel. The magnificent Zisa and Cuba hunting and recreational castles outside the city center are also hold-overs from the Norman period, and show strong influences of Arab architecture and style: the Zisa is home to the city's Islamic museum and the Cuba was once set at the center of an artificial lake. 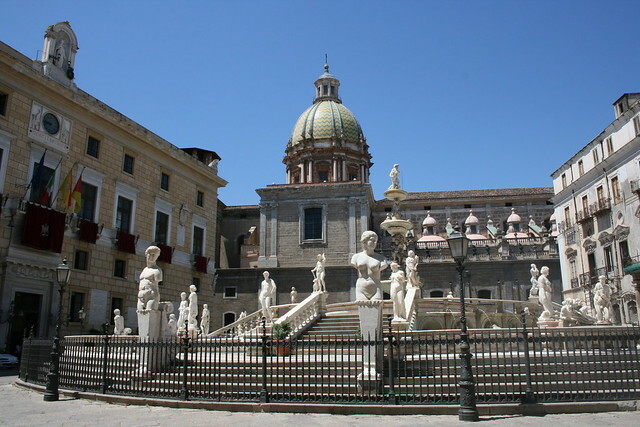 More recently, Palermo was a center of arts in the 19th century and its two opera houses are still active today. 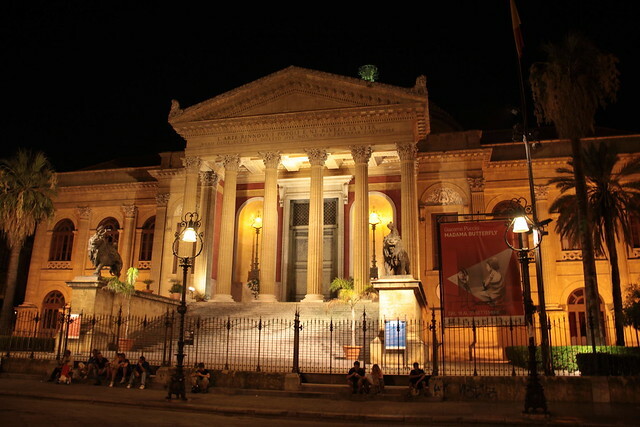 The Neoclassical Teatro Politeama is home to the Sicilian Symphony Orchestra, and Teatro Massimo is the largest opera house in Italy and the third largest in Europe. Palermo is a city in which much of the social interaction takes place outdoors in the sweeping squares and bustling open-air markets, both perfect for both participating in the refreshingly tourist-free local flavor and for browsing landmark shops and overflowing market stalls. The two most iconic squares are the Baroque Quattro Canti and Piazza Pretoria, home to the famous Pretoria Fountain with its frolicking nymphs and nudes that the Spanish invaders found so shocking that they took to calling it Piazza della Vergogna (Square of Shame). Among the most famous markets in all of Italy is Palermo's Vucciria (from the local dialect for “chatter” due to its constant hum of patrons and vendors), the sprawling Ballarò that stretches for blocks and bustles with activity late into the night, and Capo, vibrant with colorful produce and spices, and even more colorful vendors hawking their wares. During 2018, the city has planned a number of art exhibitions, concerts, and other cultural events (https://www.palermocapitalecultura.it/en/events) as part of the city's year as Cultural Capital. Even if you can't visit this year, however, the city is known for its rich cultural life centered around the two opera houses and a number of local art museums. Like most of Sicily, Palermo is a deeply Catholic city and its annual festival revolve around the Christian holidays and the Festa di St. Rosalia in the second week of July, celebrating the beloved patron saint with a huge processional, fireworks, street food and drink, and traditional Sicilian music. All of Sicily has a unique cuisine that combines local specialties like fish and seafood, fresh ricotta for cannoli, and almonds for gelato and granita with elements of Arab and northern African cuisine; this is one of the only areas of Italy where cous cous is a found, for example. Palermo is no exception, and one of the most memorable aspects of the city is its excellent local dishes. 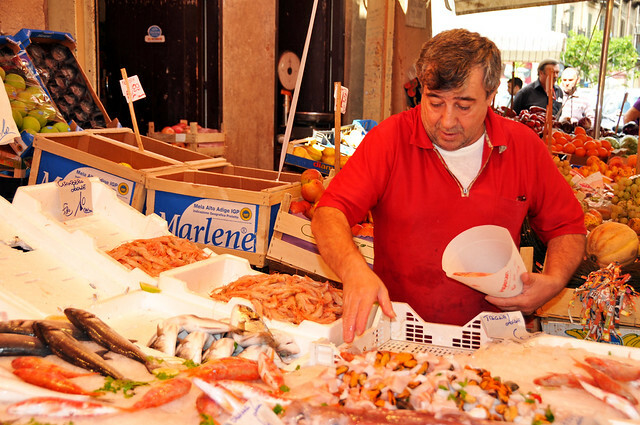 Hand-in-hand with its thriving outdoor markets is Palermo's fantastic street food culture. 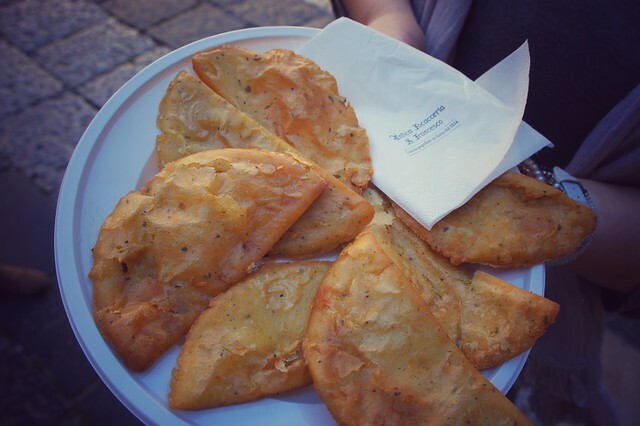 One of the most popular street foods in Palermo, panelle, or chickpea fritters, are one of the many dishes introduced from the Middle East and is served by street vendors or friggitorie (fried food stands) like a sandwich on a sesame seed bun called a malfada. Other street food delights include arancine (fried rice balls with meat ragù), sfincione (a thick pizza slice topped with tomatoes, onions, anchovies, casciocavallo cheese, and oregano), babbaluci (tiny sea snails cooked in oil, garlic, and parsley), and pani ca’ meusa (spleen burger).